"One day baby, we'll be old. Oh baby, we'll be old. And think of all the stories that we could have told" - these lyrics of the song "One day" always come into my mind when I think about all the things I wanted to do Istanbul. When you live in a city and it starts to become your home, daily routines take over; the novelty loses its presence. You only remember the excitement every time your friends come to visit and you watch them slowly fall in love with Istanbul. Every time you think about all these great things this city has to offer, all the museums you wanted to go to, the food you wanted to try, and the new bar you wanted to enjoy, you have to postpone it for another time. Then life takes over again. To really get the whole tourist experience my boyfriend and I decided to stay in a rental flat and do a staycation at X Flats. They have 5 different locations in Beyoğlu area, and we chose the one in Galata, right near Serdar-ı Ekrem street. And, we decided to start our amazing weekend with a lovely dinner. 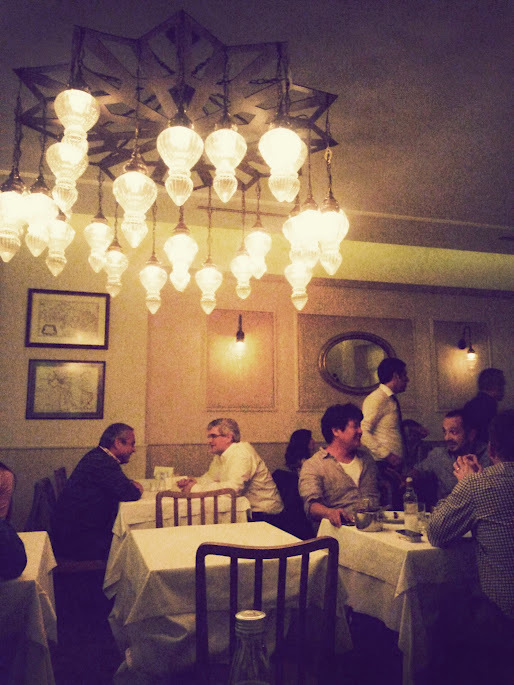 Here is how our story goes..
One of the best spots for a Friday dinner is Lokanta Ma'Na in Karaköy. First time visitors and locals probably all know about the rakı balık concept in a meyhane - restaurants where you eat fish, mezes and drink a lot of rakı throughout the whole night. 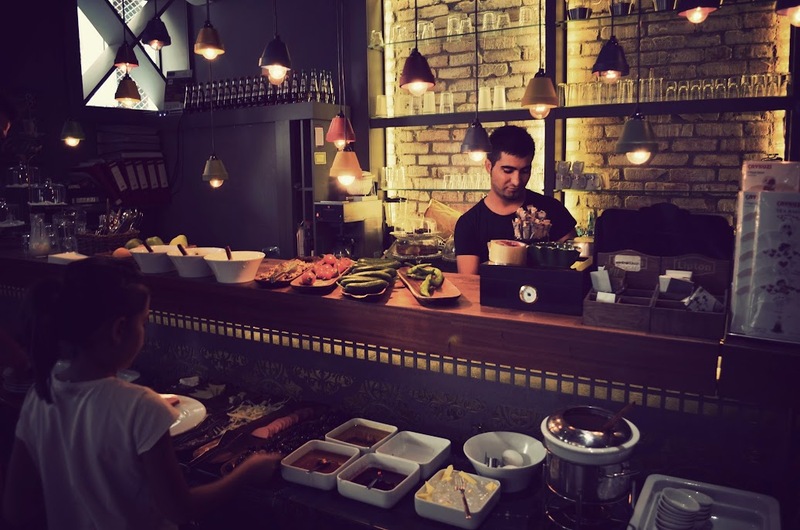 In the past a meyhane used to focus more on serving mezes, small dishes to accompany alcohol. The executive chef of Ma'Na told us that this is what they try to recreate, and in my opinion they succeed. 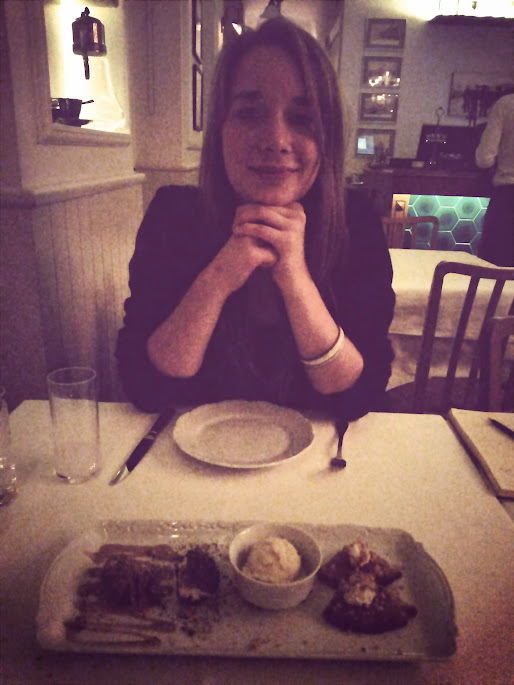 I can never decide what I want to eat and so I loved all the small different dishes throughout the evening. It was a delicious mix of seafood, meat and vegetable dishes. Even though you might think you have no space left for dessert, please do not miss it - it is heavenly. 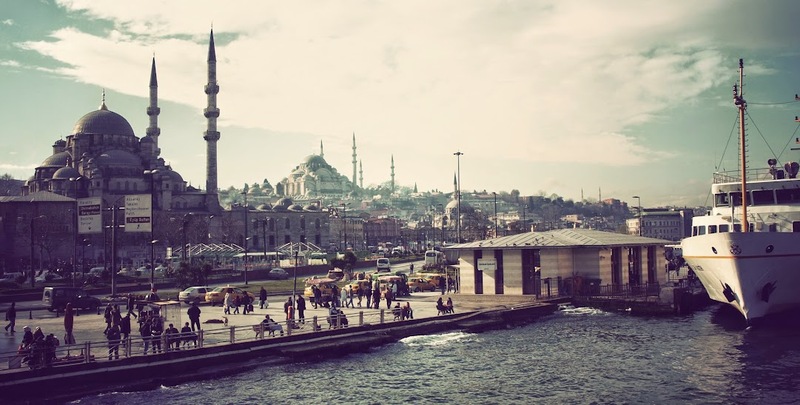 How would your perfect day in Istanbul look like? Mine starts with coffee and ends with a night out dancing. In-between it is filled with good food, music, and art. Whether you are just visiting Istanbul or you live and work here but just want to feel like a tourist again - this city offers everything for a perfect day. Friends who had come to visit me recommended to stay at X Flats, deluxe-flats in Istanbul. My day could not have started any better; waking up to enjoy the incredible view from our penthouse in Galata while enjoying my first espresso of the day. 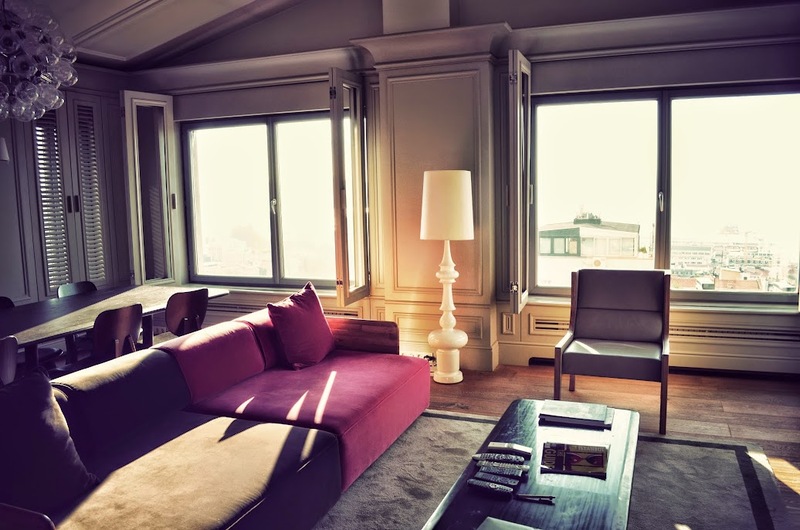 The flat had a beautiful interior design and I was astonished by the big windows which looked over the Bosphorus. The flat had a kitchen, the best shower I have ever had in my life and most importantly, for a coffee lover, an espresso machine. 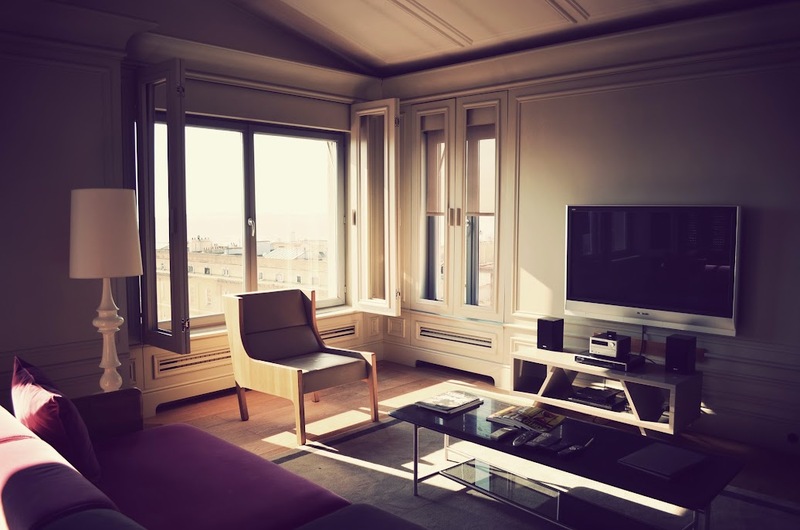 With such a central location in Beyoğlu, it was the perfect place to stay. 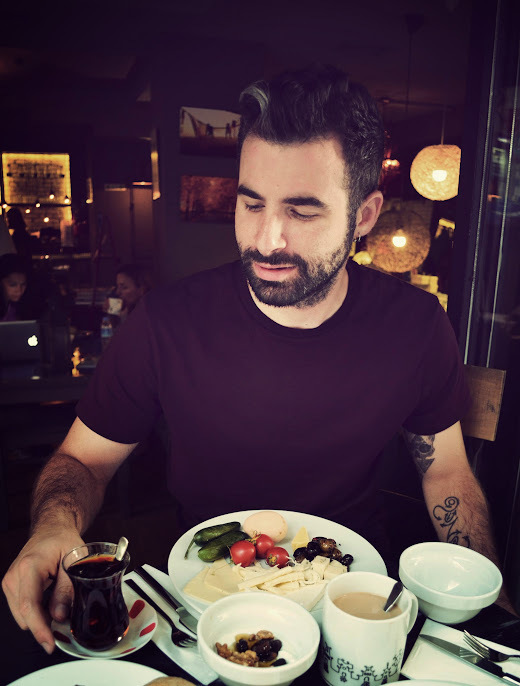 One of the many things I love about Turkey is the breakfast. During the week I usually rush out of the door, being already too late I just grab something on my way out. A good Turkish breakfast does not only include good food but also time. Güneş and I went to Santral Dükkan, a nice cafe in Beyoğlu with a very cozy and relaxed atmosphere. The "open buffet" had a great variety of cheese, olives, breads, fresh tomatoes, cucumbers, eggs, muesli, nuts and dried fruits, as well as fresh orange juice, tea and coffee for a good base to start the day. The other guests at the cafe were a nice mix of couples on a stroll out, travelers and locals. Inside the cafe is also a small shop where you can find cute notebooks and postcards. After breakfast we needed to get a little bit of work done so we headed to Urban Station, a cafe that is especially designed for people who like to work outside of the office or their homes. They have several locations in Istanbul, we chose the one which was on the same street as our breakfast place. 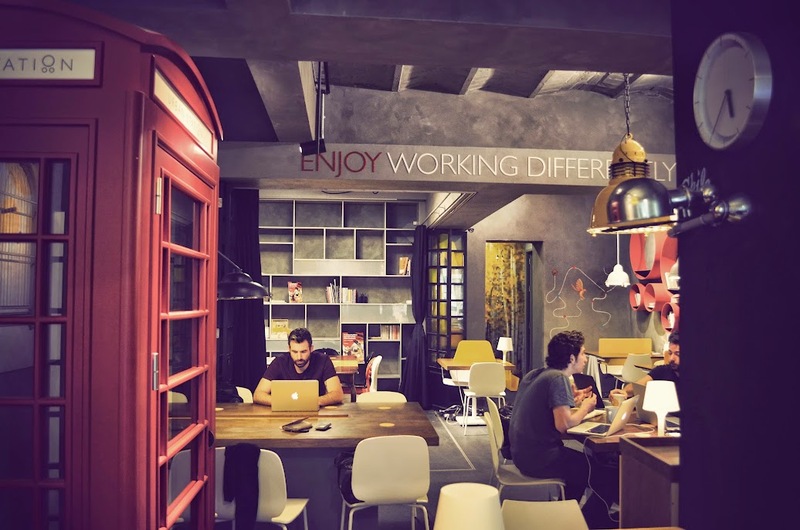 Urban Station in Galata looks like a mix of a normal cafe and an office. The concept is simple: you can sit and work there and you do not pay for what you drink or eat from the coffee bar, but only for the time you spend there. I sometimes need a change of scenery to be able to concentrate again, and for this Urban Station would be the perfect solution. One thing I always wanted to enjoy in Istanbul but always postponed to "one day" was to go and visit all the different art galleries that this city has to offer. To get a good hold of the art scene in Istanbul, we booked a private tour with istanbulite. The travel-agency istanbulite offers custom-made private tours, ranging from culinary tours, to Istanbul for children, bird watching or fashion tours. Our walk was led by the local artist Seza Bali, a photographer who studied in San Francisco and is represented by Elipsis Gallery in Istanbul. Seza picked us up at our hotel and before we started our tour, she explained us the Istanbul art scene over a cup of coffee. I think it was this great mix between informative and the relaxed atmosphere that made me enjoy the tour the most. 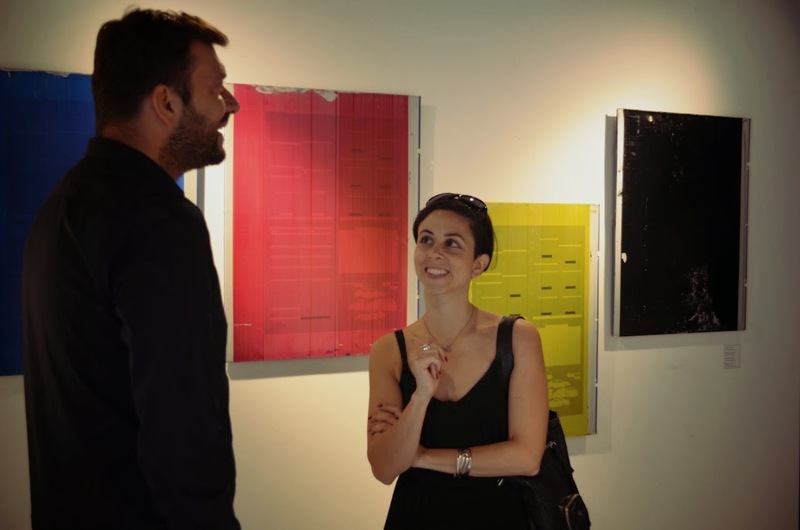 Seza first took us to ARTER and SALT Beyoğlu on Istiklal Street, two well-known non-profit institutions which host a wide range of exhibitions. I loved how SALT extended their idea of an "artist" with their current exhibition where they invited people to send private photographs of their summer houses in Turkey. SALT is a good spot to remember, as they regularly offer free film screenings and talks in Turkish and English. The current group-exhibition of the work by Southeast Asian contemporary artists at ARTER was a lot of fun as we could play Ping-Pong, a participatory piece by Lee Wen. For a small break we went to have lunch at Özkonak in Cihangir. This muhallebici (pudding shop) is best known for its great desserts. For the first time I tried kazandibi, a desert that has chicken breast in it and belongs to one of the many strange but incredibly good sorts of food the Turkish cuisine has to offer. 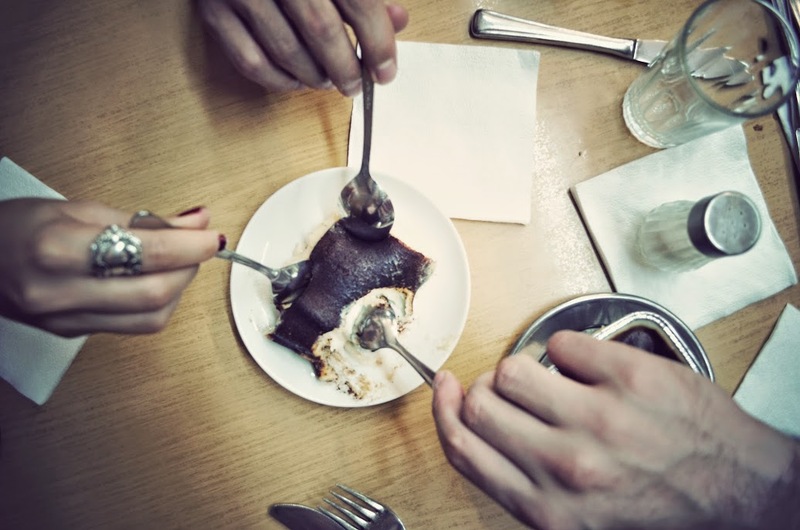 At Özkonak the dessert is exceptionally good, probably because it is made with buffalo milk. I recommend to just go for it as this is a delicious taste explosion just waiting for you. The next stop on our tour were small commercial art galleries in Tophane. 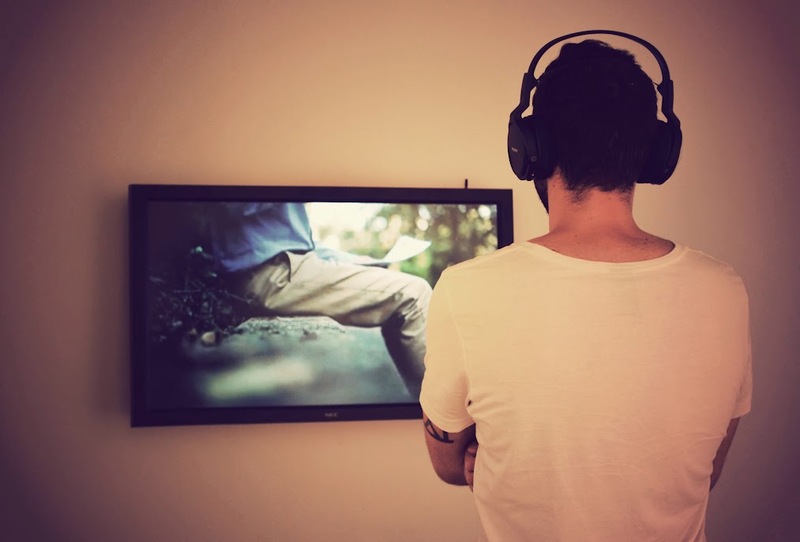 Pg Art Gallery and Daire Galeri are two spaces which host solo and group shows of Turkish and international artists. MIXER, another gallery in Tophane, is a very big exhibition space, currently hosting nine artists from New York's Lower East side. 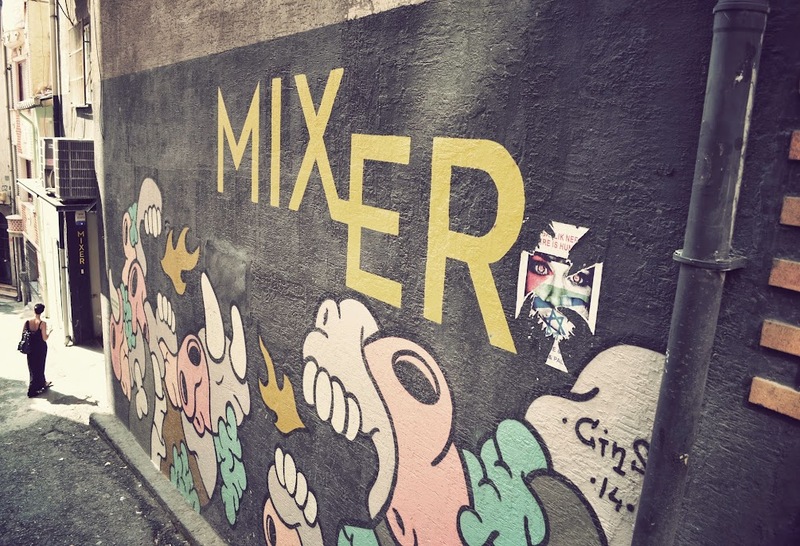 MIXER also hosts talks and workshops for everyone interested to join. I think my favourite stop was KARL Gallery, which right below our rental, X Flats Galata. The small gallery space recently opened in May and is part of the non-profit activities of the KARL Institute. The director and art lover Bora Özbek, who actually comes from a background of international relations and law, had the idea to use the space to give young and unknown Turkish and international artists who are without gallery representation a place to show their work. 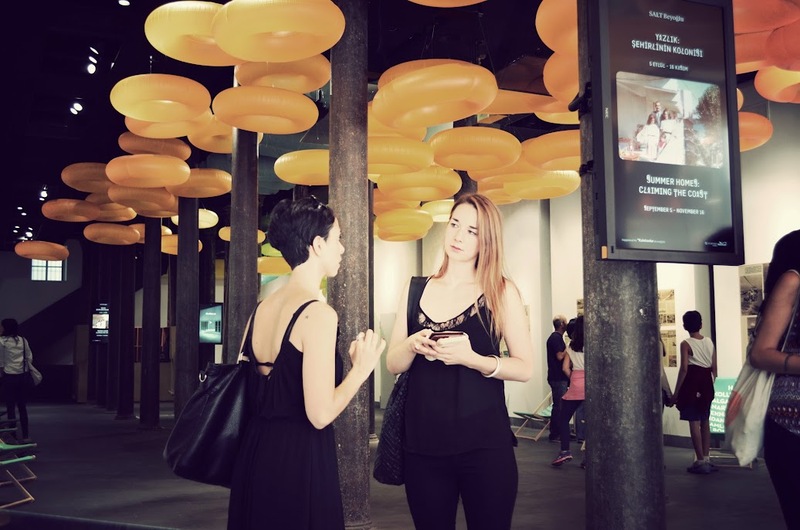 The artists are supported for their first appearance and to find further places to exhibit. Another aim of the gallery is to create new collectors. What would be a better start to a night out than cocktails? And what would a perfect day in Istanbul be without being on one of its incredibly beautiful rooftops? We decided to combine both and went to have drinks and watch the sunset at Mikla Bar, which is on the rooftop of Marmara Pera. The view is astonishing and the cocktails just rounded up the picture. Istanbul is even more breathtaking when you can see its colours, space and beauty from above. Soon it was time to leave our beautiful place above the skyline of Istanbul, because I did not want to miss out on Woodkid's concert at the adidas all original festival at Küçükçiftlik Park. The fact that one of my favorite singers was in town at exactly that night was great luck, but Istanbul is a city that never sleeps. So if you want to know what is going on during your stay, check the website of bugunbugece.com or kücükciftlipark.com. 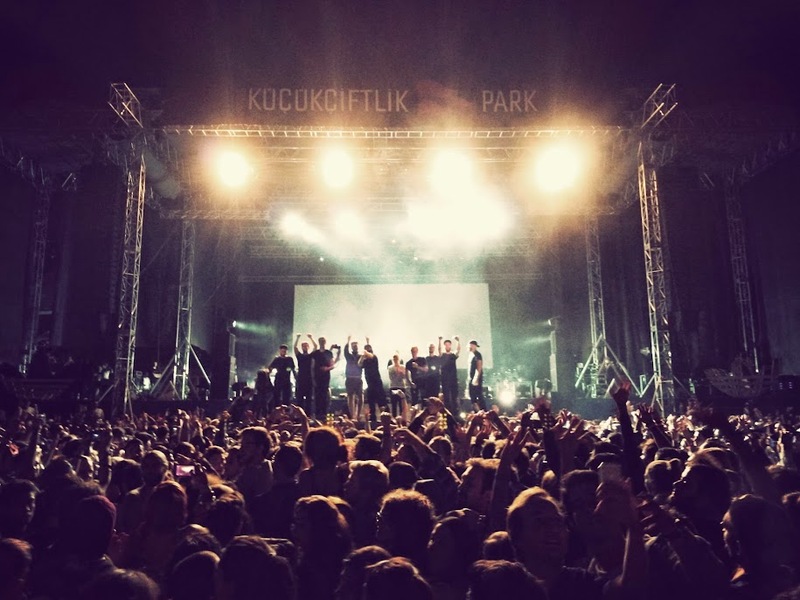 The mood was great when we arrived at Küçükçiftlik Park and my heart jumped with joy when the concert started. The breathtaking live performance of Yoann Lemoine's band members together with astonishing video and light installations proved that Woodkid live is just as incredible as rumors had it. When he played his latest new song Volcano everyone in the audience joined him jumping and dancing like there was no tomorrow. After Woodkid's show we enjoyed Felix da Housecat's DJ set. To end our night we headed back to Taksim to go to Kasette where the co-founder Sertaç Kazan played for one night during his short visit from Berlin. Kasette is a great place for electronic music, just outside on one of the small side streets of Istiklal. We danced until my feet told me it was time to go and to be honest, I was quite looking forward to spend another night at X Flats in Galata; the view was waiting for us. So, whether you come to visit Istanbul for the first time or you have been here for some time already - go out and experience it again. 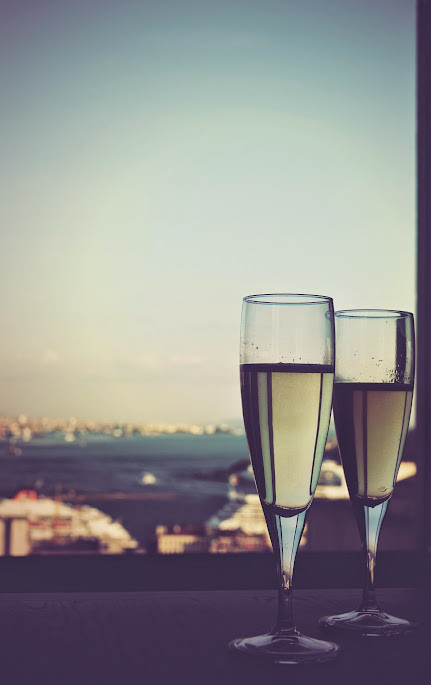 Feel like a queen or king of the world while enjoying the beautiful view from a hotel, go to the places you always wanted to go and enjoy Istanbul's culture and nightlife as if it is your last night. Go out to a see a concert, dance until the sun comes up and be part of the city's energy. Go out and enjoy Istanbul, so you do not have to think about all the stories you could have told. Researcher, photography and music lover.